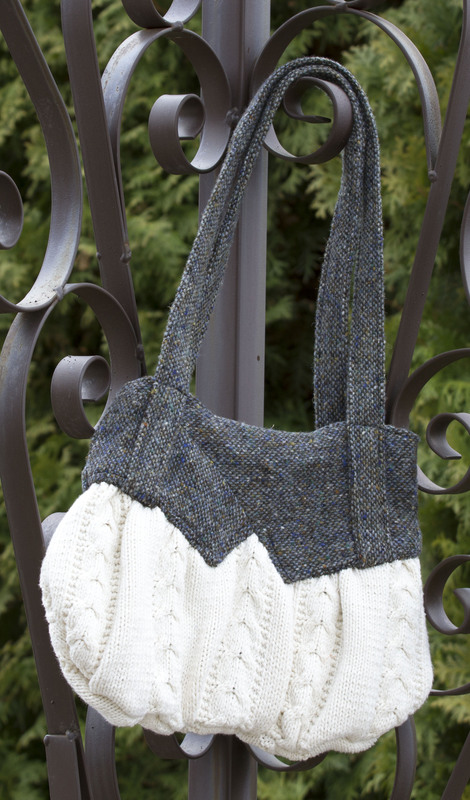 Give old clothing a new lease on life by designing and sewing a new handbag. Some used clothing have a lot of character and are made from beautiful fabrics that are hard to find. Take your old favorite jacket or shop thrift stores and turn used clothing into new accessories. This handbag was a fun project because it forced me to get creative combining several clothing items. I wanted something different from what I already own. I found a man’s wool jacket made from fabric I liked, then found a sweater vest at a thrift store (wish I could knit). I pulled one of my husbands shirts out of my “things to re-purpose” closet. 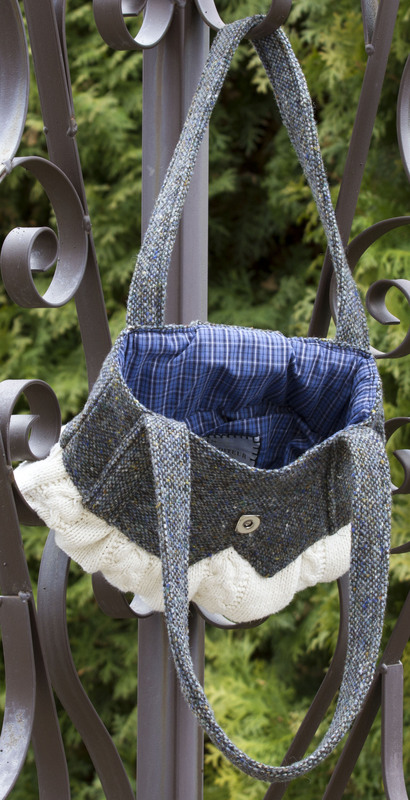 I was drawn to the lapels on the wool jacket and decided the top of the bag would be those. The bottom of the purse would be the bottom half of the vest. I used my husband’s shirt to line the bag making sure the shirt pockets were used inside the bag for organizing. I created a label and hand stitched it over one of the pockets. A covered button embellishes a magnetic closure in front. I didn’t have a pattern and basically created this bag as I made it. 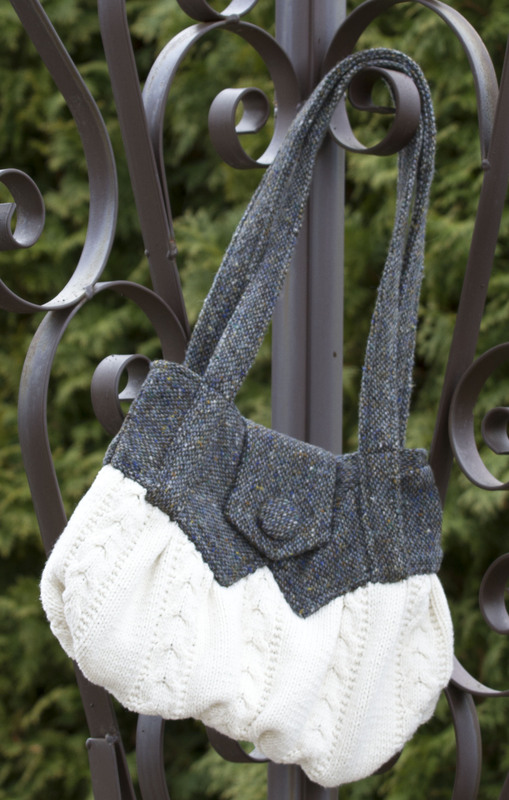 There are patterns and books readily available if you need one to create a bag. If you look at clothing with the possibility of turning them into something else, you are certain to find the ideal project for yourself or to give as gifts. 02 Mar	This entry was published on March 2, 2014 at 6:59 pm. It’s filed under DIY, Re-purpose, Re-purpose Gallery and tagged handbag, Purse, re-purposing, re-purposing old clothing, sewing, thrift store shopping, up-cycling, used clothing. Bookmark the permalink. Follow any comments here with the RSS feed for this post.